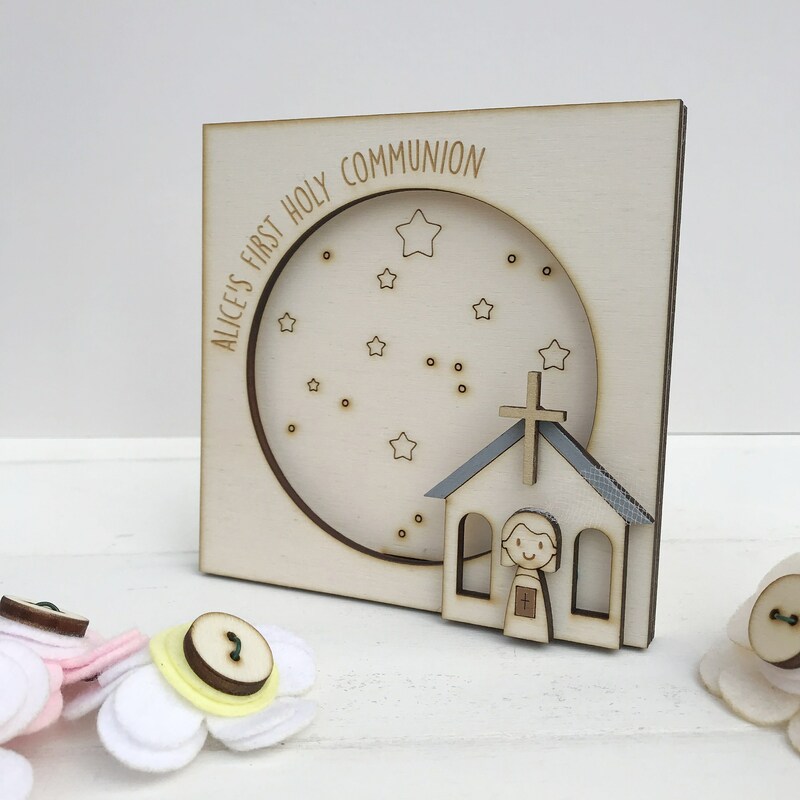 This is a beautiful personalised keepsake photo frame for a child on their First Holy Communion. Each frame is to order made from beautiful natural wood. It is engraved with the child's name". 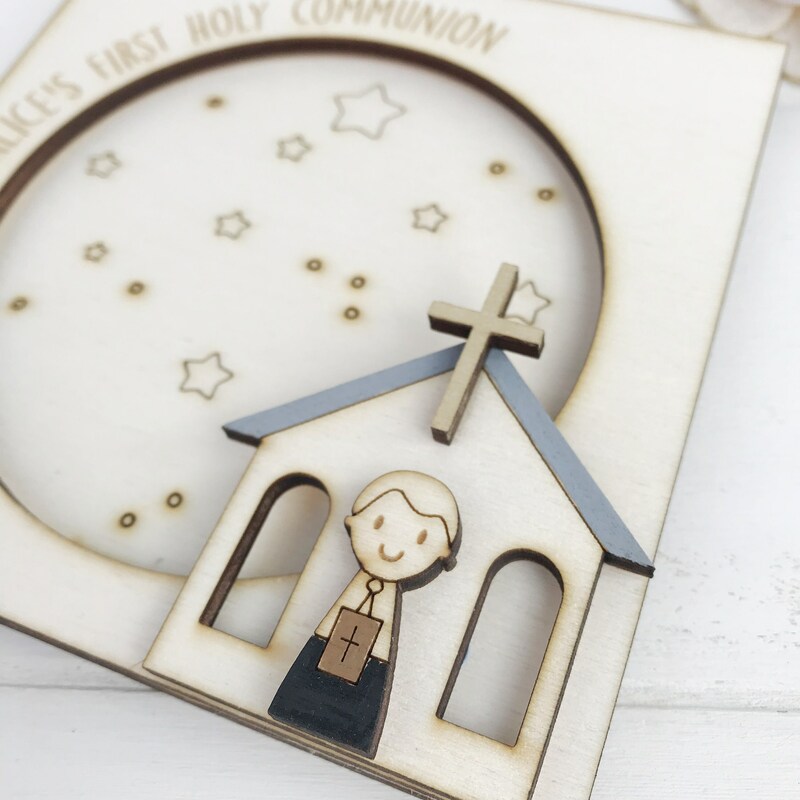 In the bottom corner for the frame is a sweet wooden girl or boy figure standing outside the church on their first Holy Communion day. It can be further personalised with a short message on the back of the frame. Each frame is supplied flat for you to simply push in the stand at the back for it to be displayed. 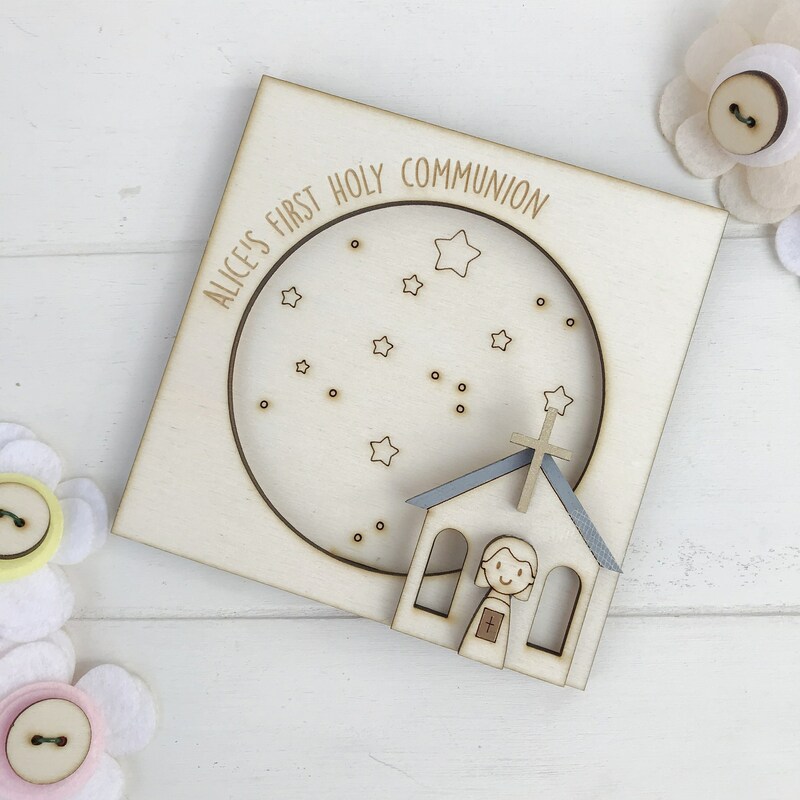 A beautiful gift for child on their first Holy Communion day to display a treasured memory.